The launch of LG’s new premium flagship released in the year 2018 was definitely a much-awaited deal for all of us. The phone was expected to get its release during the Mobile World Congress in February 2018. Due to some issues, the launch got delayed even after its announcement. Recently, the company revealed the LG G7 ThinQ, the successor of G6 that was released last year. The present G7 comes with some noticeable improvements to both the hardware and software of the phone. Before you head on to download the LG G7 ThinQ wallpapers, I guess you would love to hear about the design and specs offered by the phone. The new flagship model is banging the market and sports a 6.1 inches full-view display with a notch at the top and smaller bezels, whatever you call as the frames. The exterior of the phone is covered with glass at both the front and rear portions, along with an aluminum frame. The Corning Gorilla Glass 5 protects the phone in a better way than that of its predecessor. The power button lies at the right, and a new button is added along the left edge that is meant to trigger the Google Assistant. A 16MP+16MP camera as well as a fingerprint sensor, placed just below the lens makes this handset a good competitor among the smartphones. It still supports the 3.5mm headphone jack situated at the bottom of the phone. A dominant Qualcomm Snapdragon 845 chipset powers the LG G7 ThinQ phone with 4GB/6GB RAM for 64GB/128GB storage, respectively. The device supports external storage up to 400GB. It runs on Android 8.1 Oreo along with the LG UX. As per the reports, LG claims on releasing Android P for the set, when but the final version was delivered to the public by Google. The LG G7 ThinQ has not yet reached the market. Reports say that the set will be first released in South Korea. After that, it would be followed in the other big markets such as Europe, Aisa, and North America. Download LG G7 ThinQ stock wallpapers right now. Add a little flavor of it to your existing Android phones before it is finally released in the market. These stock wallpapers will offer a premium outlook to your device along with a stunning visualization experience. Download the zip file to grab the bunch of 33 different wallpapers in 1072 X 2560 pixels resolution. 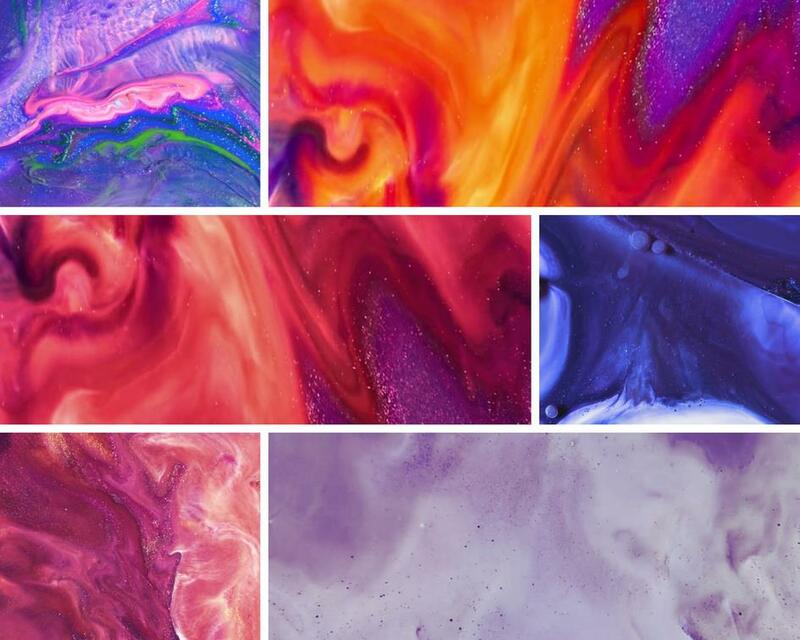 You can even get these abstract color and richly designed wallpapers individually by using the Google Drive link. Cheers, you have got the wallpapers in hand! Drop a comment to let us know which among them did you like the most!